Don Slaught, a Major League Baseball veteran, caught in the big leagues for 16 years with 6 clubs. Upon retirement in 2001, Don started Right-View Pro, a video analysis software company that specializes in baseball and softball. His passion was to aid coaches in showing their students through video how to improve their swing, rather than telling them without any proof. When speaking on hitting, Don’s pursuit is to identify and show what the game’s best hitters are doing, rather than imposing a hitting theory. In 2006, Don was summoned by his former Pirates manager, Jim Leyland to lead the Detroit Tigers as their new hitting coach. 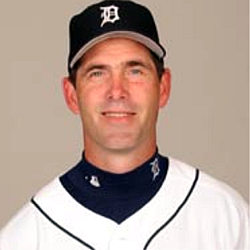 In just one season Don helped guide the Tigers to their first winning season in 13 years, an American League Championship and eventual World Series appearance. Don Slaught is one of the most highly sought after hitting coaches on the speaking circuit today. Don Slaught has been published in numerous periodicals and web publications including ESPN the Magazine, GQ, Fast-pitch Delivery, and ESPN the Insider. Slaught has made appearances at the sports’ most prestigious and critical audiences in both baseball and softball. His speaking engagements include ABCA, NFCA, Mohegan Sun, Cherry Hill, Texas HS Baseball Coaches Assoc. and MLB Winter Meetings among many others. 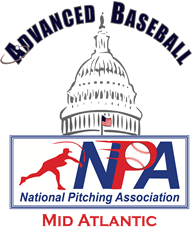 He is also a current instructor for the NFCC College Accreditation Program and co-author of “The Hitting Edge”.